We offer several interesting tours. They differ in duration and in physical difficulties. All tours start with a 150 meter lift ride down the shaft „Reiche Zeche“. Because of health and safety reasons we can´t take children that are younger than 6 years as well as people, that are older than 72 in the open minefield. For those, we offer the underground teachingpath. The temperature is constant over the whole year at 10°C. Dirt-proof overalls, helmet and headlamps are provided for free. Experience the histroy of mining in Freiberg and learn about the geology of the silver deposit as well as about mining technology. For children from 6 years on. Suited for retirees older than 75 years of age. Parts of the mine frome the second half of the 20th century, on average 2 times 2 meter. Furthermore you will find out more about the mining in the 19th century, where the ceiling is in some places at 1.60 meters. For children from 12 years on. Not suitable for people over 75 years. 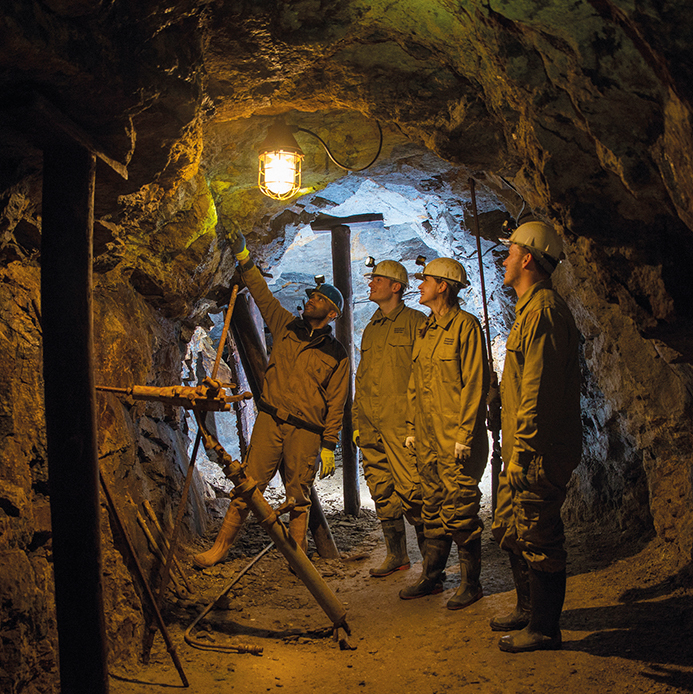 Experiance the traces of history in the mine from 20th centuary to the modern use as a place for resarch! 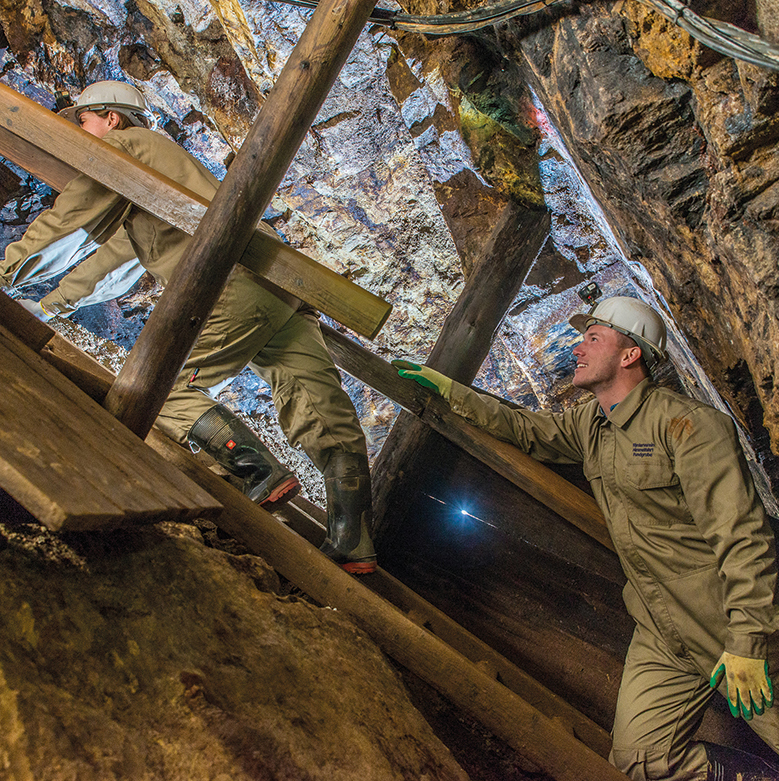 Than follow us 60 meters up to the mining of the 16th to 19th century. Suitable for children from 12 years on. Not suitable for persons older than 75 years.